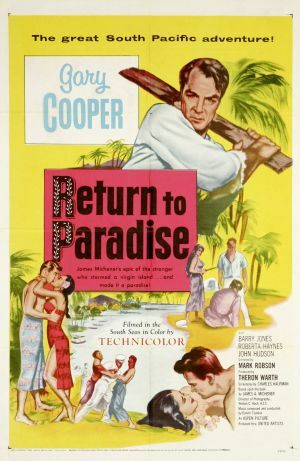 Return to Paradise is a South Seas drama film released by United Artists in 1953. The film was directed by Mark Robson and starred Gary Cooper, Barry Jones and Roberta Haynes. 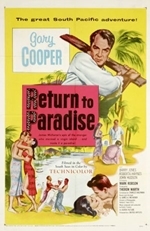 It was based on a short story, Mr. Morgan, by James Michener in his short story collection Return to Paradise, his sequel to Tales of the South Pacific. It was filmed on location in Matautu, Western Samoa (present-day Samoa).